Every leadership election since voting was extended beyond MPs has turned into something of a procession. With the the excpetion of 2007 when Gordon Brown who took an uncontested coronation. Labour has never had such closely contested leadership election. Neil Kinnock won 72% of the electoral college against three opponents in 1983, and John Smith 91% against Bryan Gould in 1992. The closest we have come to a cliff-hanger was Tony Blair winning 57% in the first round of a three-candidate contest, some 33% ahead of John Prescott, in 1994. No leadership candidate of the five is going to win 50% on the first ballot this time. 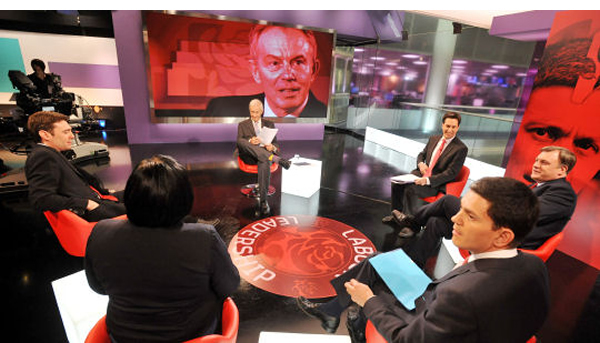 The winner will want to emulate Blair by being the choice of all three sections of the party electorate in the end. Blair won 60% of MPs, 58% of party members and, strikingly, 52% of trade union votes – capturing how Blair’s 1994 campaign focused on appealing across a broad coalition of party opinion. His wariness about seeming too “New Labour” or ‘SDP mark II’ even meant denying Peter Mandelson’s role in the campaign. Yet the electoral college – divided into thirds between Parliamentarians, party members and affiliates – makes a “split decision” where different sections preferring different party leaders possible if the race is close. Would that matter? Perhaps – but probably not a great deal. Firstly, the rules are the rules. Labour has presumably chosen to have an electoral college for a reason – ensuring that a winning candidate must appeal to different party constituencies. A grassroots champion who Parliamentary colleagues just can’t work with won’t win; nor can MPs easily impose their choice on a hostile party membership. Diane Abbott would need an overwhelming lead among party members and affiliates to counter her lack of Parliamentary support. This does create the possibility of different “legitimacy” questions about winning candidates on a split college. Iain Duncan Smith was the second choice of MPs but the favourite of party members in the 2001 Tory contest presented him with a confidence test at Westminster which he then failed to meet. Secondly, it is likely that any winning candidate will win two of the three sections. Two out of three ain’t bad in the electoral college, but winning the party members’ vote is probably “trumps” in legitimacy terms. David Miliband would be pretty relaxed about a final round where he won MPs 55-45, party members by 54-46, but lost the trade union section 47-53. That would give him a 52-48% victory in the college. Ed Miliband would happily take a result where he trailed 47-53 among MPs on the final ballot but led 52-48 among both party members and in the affiliates’ section, for the narrowest of victories on 50.3% to 49.7% on the electoral college. But there could be more of a problem with a victory secured by being ahead in only one section of the three by a large enough margin to counter narrow reverses in two sections – which would probably involve most party members preferring a different candidate. For example, David Miliband would be elected if 55-45 ahead among MPs, while 49-51 behind among both party members and affiliates. (That would still be a 51-49 victory overall). Ed Miliband would face hostile media attention if he were to trail his brother among MPs (45-55) and party members (49-51) yet still get elected Labour leader as the strong choice of trade union levy payers and other affiliates – say 58-42. The winner is likely to end on 50% in the membership section – because a knife-edge split decision election is likely to see the MPs and union sections diverge. Four weeks ago, the only YouGov poll of the party electorate had David Miliband ahead among MPs and trade unionists, and neck-and-neck among party members, to take the college 55-45. It is very difficult to project a plausible scenario where anyone could win the college while short of 48-49% of party members (and a candidate pipped in the final round among members might have been in front on first preferences). Even these hypothetical scenarios matter considerably less than if a party is sharply ideologically or factionally divided. It is much easier to unite the Labour party after a knife-edge Miliband v Miliband (v Balls v Burnham v Abbott) contest than a Healey v Benn election – because the vast majority of the supporters of the defeated candidates will not be sharply, still less irredeemably hostile to the winner. The Ken Clarke versus IDS race saw a sharp ideological division – especially about Europe – trumping electability credentials among party members. The Labour party is going to pick the candidate that they believe has given the best account of how to win, where the disagreements are quite nuanced. Outside of sharply divided results, victory will trump questions as to how the candidate constructed a winning majority. Few now recall that, perhaps counter-intuitively, Denis Healey piped Tony Benn in that crucial deputy leadership contest of 1981 only because the trade union votes counted for 40% (not one-third as today). Healey did better with the unions than among constituency party votes. Had union votes counted for less, the left’s candidate would have won. A very interesting analysis, and does raise one very interesting question. Diane Abbott could well finish as high as third amongst the members, and do very well with the unions. This raises the serious question of what to do with her afterwards? if she happily slimks back to This Week, I think that would suit everybody. However, she may well decide she wants to play a greater role in Labour’s future direction, and can the new leader legitimately ignore a leadership candidate, who has shown she has strong support? Seems we live in a short memory world…in 1980 we had the ultimate split vote, for Deputy Leader, when Healey beat Benn…in the ultimate electoral collage…and at no point, despite the 50.1-49.9 split in the vote was ever his legitimacy as DL questioned. Um… Michael Green, the author specifically talks about *leadership* elections, not deputy leadership contests, and the Healey-Benn fight was in 1981, not 1980. In 1980, Foot defeated Healey for the leadership, but that was still an MP only contest: he won by 139-129 on the final ballot, having trailed Healey in the first one. Michael … Isn’t the final paragraph of the piece about the 1981 Healey-Benn contest? I don’t know if anyone has the numbers. I understand Healey won MPs and unions, lost CLPs. (But I think its right to say that CLP/members section pre-OMOV would not at that time have been individual member ballots). I think it is important that a party leadership contest represents not just MPs but wider members, and given that the Labour movement was founded by the unions they should have a role too.